1. A Safety Critical Guard on every train. 2. In the event of a ‘No Guard Availability’ the service will be cancelled. 3. 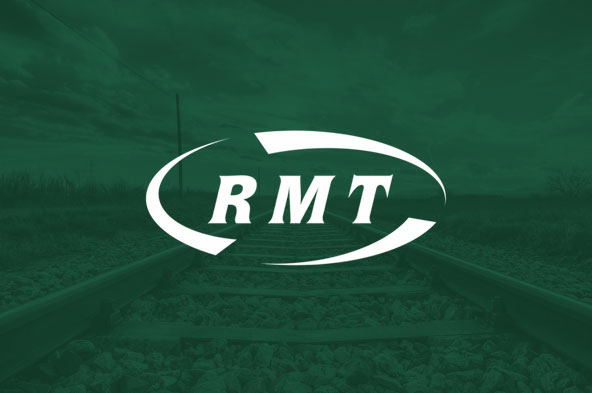 There has been no formal discussion with ASLEF on door operational duties & ASLEF has reiterated until an agreement is reached between the RMT & WMT that no talks will take place. 4. Presently, the new traction WMT has ordered will be wired for conventional operation but at present does not have door panels on the design stage. During these discussions the issue over accessible railways & the compliance with the Equalities Act was raised with the company. The union also highlighted that new legislation, reports and recommendations from disability bodies may come into force in the near future. • All 148 WMT Stations are to have a thorough Risk Assessment on methodology of working & dispatch carried out by RMT H/S Reps.
• The SCC Reps, H/S Reps are to reconvene at Unity House on the 2nd Wednesday in June 2019 for a progress & report back to the GS, SAGS & NEC. • There will be a close link & sharing of information & updates between the Lead Officer & H/S Reps in this period. • The RMT Policy of the Safety Critical Role of the Guard & there involvement in the Dispatch procedure is that we retain the control of the doors on all trains as the present method of conventional working. • The Framework Agreement is a Negotiating Document to enable talks on the Franchise & the Guard Role. The RMT is committed to retain all our Safety Competences going forward including our role in the Dispatch procedure. • There will be no dilution of Training & Competencies including Route Knowledge & Risk Assessment which the RMT has agreed policies in place. I trust this keeps you fully advised and I will inform you of any further developments on this issue when they arise.